The tags I made for my babyshower favors. I was really excited to print this on and attached it with my favors. I want it to be more unique and interesting for the favors that I bought online. 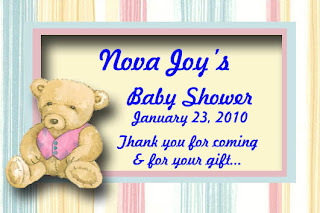 I'll share you the babyshower favors which I really like the most too. Wow cute naman po. how are you ate?